What better time to visit the independently-owned Rothay Garden Hotel, Grasmere, than just after it has a bronze medal in VisitEngland’s Awards for Excellence to its Cumbria 2013 Hotel of the Year badge. I need few excuses to skip across the Pennines to the Lake District and offer no excuses for repeating previous assertions that the Lake District is the only rural area of England that can truly claim to be a year-round destination. The particular charms of this small yet perfectly formed area of lakes and mountains change with the season and give it an allure that can be as powerful when snow lies as when the sun brings out the multiple hues of the fellsides. And with discerning year-round visitors increasingly demanding quality, we’ve seen a burgeoning number of boutique hotels and fine dining restaurants, often beneath the same roof. Only in London could you reasonably expect the range of opportunities for budding chefs and the consequent good news for diners: I know where I would rather be! The other good news is that so few of these hotels belong to big national or international chains, with the Rothay Garden model rather more typical It would be reasonable to infer that the owner of the third best small hotel in England must know a thing or two about the hospitality industry, and that is very much the case. Chris Carrs, originally from Newcastle, entered the industry as a trainee in the Lake District in 1974 and worked his way up the management career ladder via the four-star Crathorne Hall, North Yorkshire and the Borrowdale Hotel, Keswick, before acquiring Rothay Garden – a the heart of Wordsworth’s Grasmere – with the backing of investors in 1990. In 2002 he bought out his co-directors, since when he has invested significantly to develop Rothay Garden into a four-star venue. The most recent investment has seen the creation of a small but perfectly formed health spa and a restaurant, in complementary architectural styles. The two-rosette Conservatory Restaurant is a light, airy, circular structure with impressive white pine roof beams. 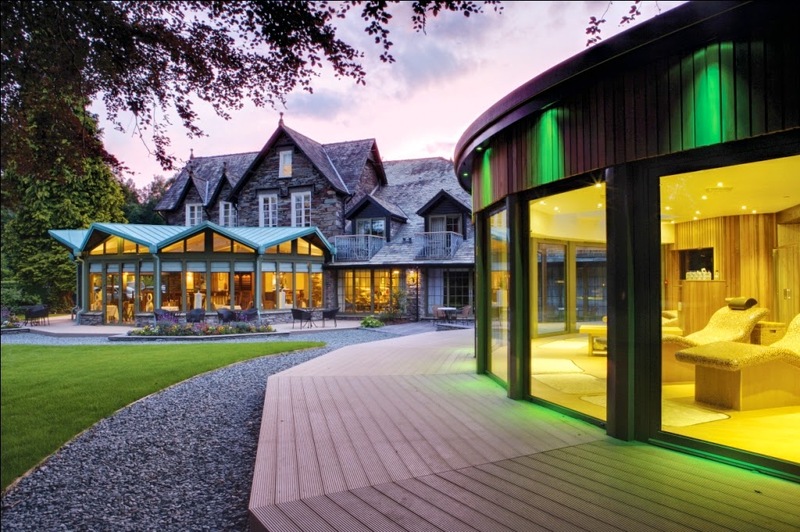 Across the lush lawn of the hotel’s two-acre garden, the Hydro Spa lures you along a short covered walkway to enjoy its three-phase whirlpool bath, heated mosaic “sofas”, aroma room, sauna and showers, whose settings include varieties of Lake District rain. Our room was on the ground floor, backing – via a pleasant outdoor terrace –onto a gentle River Rothay (it can be much fiercer after rain!). First floor rooms have private balconies, cleverly and tastefully inserted into the roof above the gutter line. In the Conservatory, guests enjoy their own table at breakfast and dinner, throughout their stay – ours offered a fine view of Heron Pike, on the flanks of Fairfield. The food has all the confidence you would expect from Head Chef Andrew Burton, who has been at Rothay Garden for 21 of Chris’s 25 years, prior to which his CV spanned such names as the Berkeley, Connaught, Savoy and Gleneagles. It can be hard to pick highlights from a menu that we found consistently excellent, but the soufflés – both savoury and sweet – deserve special mention: the twice baked goat’s cheese as a starter (scallops three ways was another hit in that department) and the black treacle for afters. As ever, local produce is to the fore, including exquisitely cooked venison and lamb from the salt marshes of Morecambe Bay, at Cartmel. Chris holds the Wine & Spirit Education Trust Diploma, so the wine list is furnished with some interesting varieties procured on his travels. We particularly enjoyed The Norton Reserve Viognier he found in New Zealand. Of his success at the VisitEngland awards, Chris said: “It has been a privilege to see Rothay Garden grow over 25 years, and for us to now be seen by VisitEngland as one of the top hotels in England really is the icing on the cake, especially as we enter our 25th anniversary year”. There's plenty of time left this summer to join a toast to the success of Chris and his loyal team!